Currently, there is much interest in the development of geometric integrators, which retain analogues of geometric properties of an approximated system. 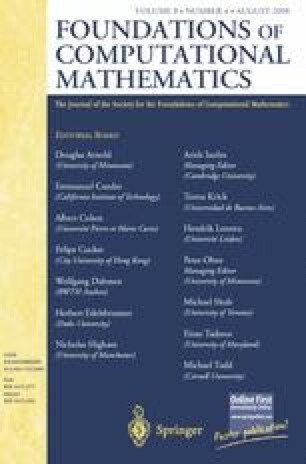 This paper provides a means of ensuring that finite difference schemes accurately mirror global properties of approximated systems. To this end, we introduce a cohomology theory for lattice varieties, on which finite difference schemes and other difference equations are defined. We do not assume that there is any continuous space, or that a scheme or difference equation has a continuum limit. This distinguishes our approach from theories of “discrete differential forms” built on simplicial approximations and Whitney forms, and from cohomology theories built on cubical complexes. Indeed, whereas cochains on cubical complexes can be mapped injectively to our difference forms, a bijection may not exist. Thus our approach generalizes what can be achieved with cubical cohomology. The fundamental property that we use to prove our results is the natural ordering on the integers. We show that our cohomology can be calculated from a good cover, just as de Rham cohomology can. We postulate that the dimension of solution space of a globally defined linear recurrence relation equals the analogue of the Euler characteristic for the lattice variety. Most of our exposition deals with forward differences, but little modification is needed to treat other finite difference schemes, including Gauss-Legendre and Preissmann schemes. Dedicated to Professor Arieh Iserles on the Occasion of his Sixtieth Birthday. D. Arnold, Differential complexes and numerical stability, Plenary address at ICM Beijing, 2002. http://www.ima.umn.edu/~arnold/papers/icm2002.pdf. E. Tonti, On the formal structure of physical theories, Istituto di Matematica del Politecnico di Milano, Milan, http://www.dic.univ.trieste.it/perspage/tonti/papershtm, 1975.